Former Chief Justice of India H.L. Dattu has reportedly been appointed as the new Chairman of National Human Rights Commission. The NHRC post had been lying vacant since May 11 last year, when Mr. K.G. Balakrishnan demitted office after his five-year term. Justice Cyriac Joseph had been functioning as the acting chairperson since then. Justice H.L. 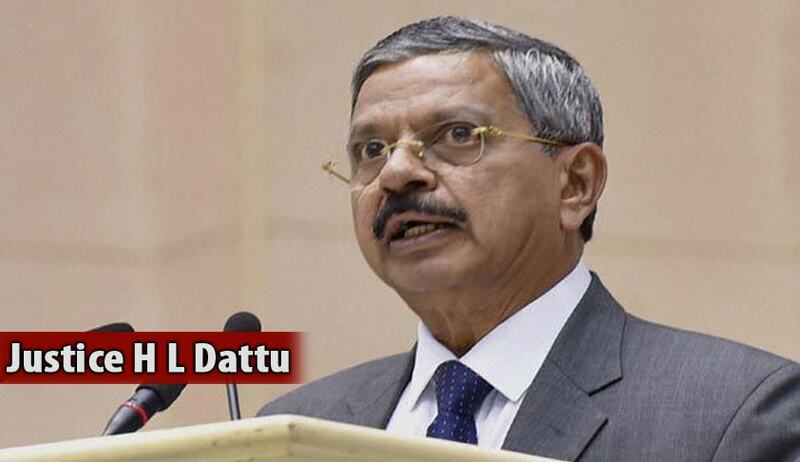 Dattu had retired as the CJI on December 2, 2015, and was being pegged as the most likely candidate for the post, even before he had demitted office. Reacting to the news of the proposed appointment in an email to LiveLaw in November last year, Senior Advocate and former Additional Solicitor General Ms. Indira Jaising had stated that the news was “particularly disturbing” as it had come while he was still the Chief Justice. She had further written, “The recently delivered NJAC Judgment places great emphasis on independent of the judiciary as a basic feature of the constitution. I would expect Justice Dattu to decline the offer even if made by the executive. The act is flawed in that it permits such appointments and required to be amended to provide for a cooling off period.” You may read the LiveLaw article here.